Country of Origin Information reports are a great support for the legal experts, both lawyers and judges, dealing with asylum seekers applications – but in several cases they are not sufficient to prove and assess the truthfulness of specific claims. What happens if, for example, a Nigerian martial arts champion seeks refuge abroad because his physical strength has made him the target of local rebel groups who want to recruit him against his will? How can an asylum lawyer prove such an allegation and the concerned judge assess its veracity? The answer is fairly simple: they cannot. COI reports officially released by UN and EU agencies, international NGOs and Think Tanks fail – by nature, in a way – to provide information detailed enough to be used in such peculiar cases, thus leaving the asylum legal procedure with an information gap that is hard to fill. 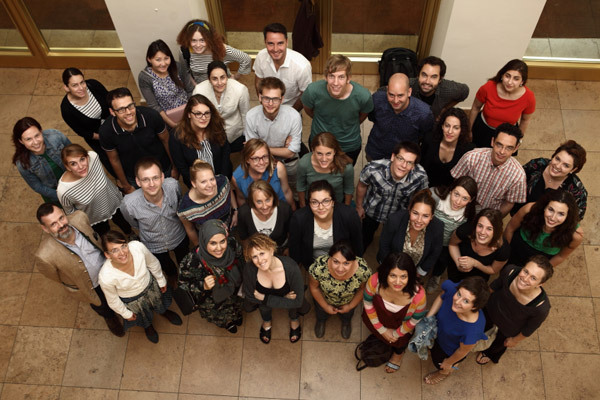 Then, five years ago, a bunch of young researchers and professionals, sensitive to the asylum seekers’ cause and eager to help with their diverse expertise, decided to start helping out NGOs and asylum lawyers by collecting high-quality information that the legal staff could take into account in particularly complicated cases. This is how Asylos was born in Paris in 2010. Over the years, the initial tiny group of volunteers has become a structured and broad network of people (totalling around 90 people, still working on a voluntary basis) that has covered asylum cases from all over the world. Asylum Corner has met Ellen Riotte, one of the co-founders of Asylos, to find out more about the workings of the system they have created. As Ellen explains enthusiastically, every time they receive a call for help from an NGO and asylum lawyer who is stuck with a case that seems unsolvable for lack of evidence, the Asylos team mobilizes the volunteers that could help find a way forward in the case. The final output is a complete report, where the Asylos volunteers gather evidence which could be valuable for the case, complementing them with a broad set of information collected through the most diverse sources: the internet, all kinds of databases, experts in the region of interest for the case, local authorities and even martial arts gyms, as in the case of the Nigerian martial art champion mentioned above. Asylos’ six regional teams (Balkans, Afghanistan, MENA, Africa, Asia, Russia/CIS) can rely on the expertise of journalists, researchers, students, etc. who know the region very well and are usually fluent in the languages spoken in the area. Since January 2015, the Asylos team has produced sixty reports (each one supporting one asylum claim), and each answering on average three research questions relating to a case. To be sure, Ellen points out, the hardest part is verifying the reliability of the sources. Since people’s lives are at stake, it is foremost important to make sure that the source of the information later to be provided to the lawyers is 100% credible. And even when the origin of the data has been verified, lawyers are confronted with a general atmosphere of mistrust and prejudice surrounding many asylum claims. “That’s why we try to provide facts, prove the entire story is true”, says Ellen. The great success of the project has pushed the Asylos team to move from a purely voluntary group to a more professional and structured organization, and this is still under way. They have recently created a pilot project of an online platform connecting asylum lawyers and the Asylos staff in a few clicks, so that the communication and the browsing of the material can become easier and smoother (click here to get an idea of how the platform works). In light of the current massive arrivals of asylum seekers on European territory, the work that Asylos carries out represents a necessary and valuable asset in protecting and guaranteeing everybody’s right to recognized international protection.